This carefully crafted CD was designed to guide you through your own Rebirthing experience. After working with Mahara personally, this recommended tool provides tremendous support in continuing to explore your inner terrain. A 17-minute introduction explains the process leading into a 50-minute journey of ‘emotional alchemy’ and spiritual insight and renewal. Never experienced a Rebirthing session in person? Be aware this process takes you deep, and can clear intense emotions. 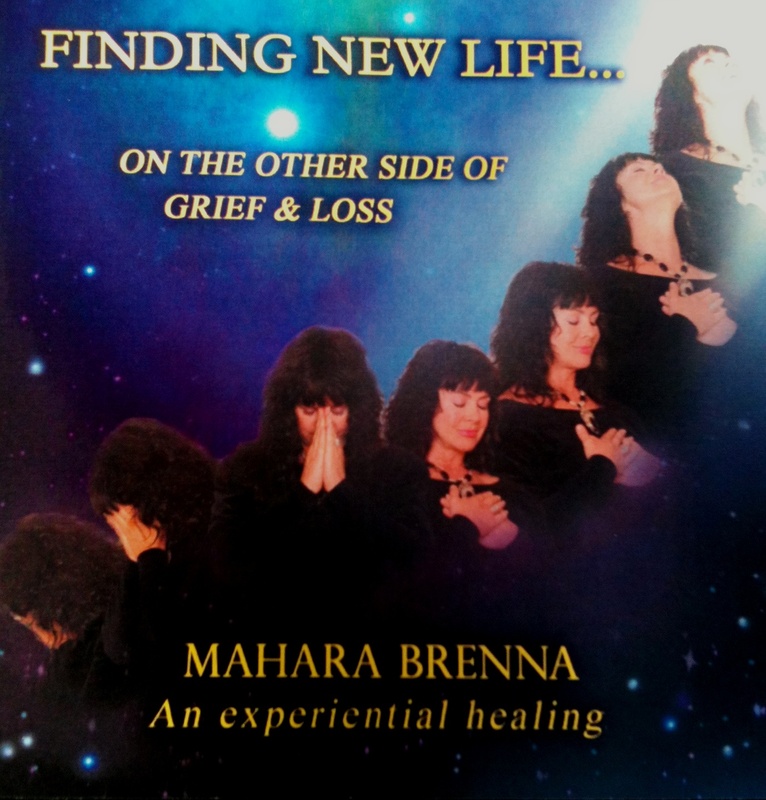 If it becomes too much for you, stop CD, and please contact Mahara. Once your payment is complete PayPal will show you receipt of payment. This co-creation with percussionist extraordinaire Joseph Pepe Danza and the angelic voice of $8 is a delightful and exquisite journey into the world of Rumi. A Persian Sufi Mystic, Rumi’s poetry is as fresh and relevant for our contemporary world as it was in the 13th century. 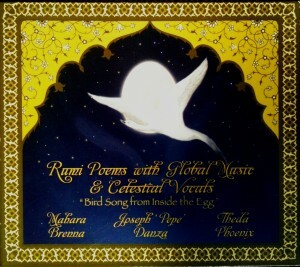 Spoken by Mahara, Rumi’s earthy spiritual profundity deepens the heart’s yearning for the ecstatic union. Put your feet up with a cup of tea and enjoy the ride! Now available at Banyen Books, Vancouver, BC. * Digital download coming soon. A tender exploration into the nature of grief, the grief process itself, and a gentle breathing experience to re-connect you with the love that has been lost. A wonderful CD that both teaches and heals. 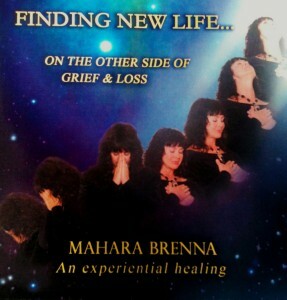 “Finding New Life” sheds light on the dark path of grief, as Mahara walks with you back into life. Solar~Morning is the perfect way to start your day! 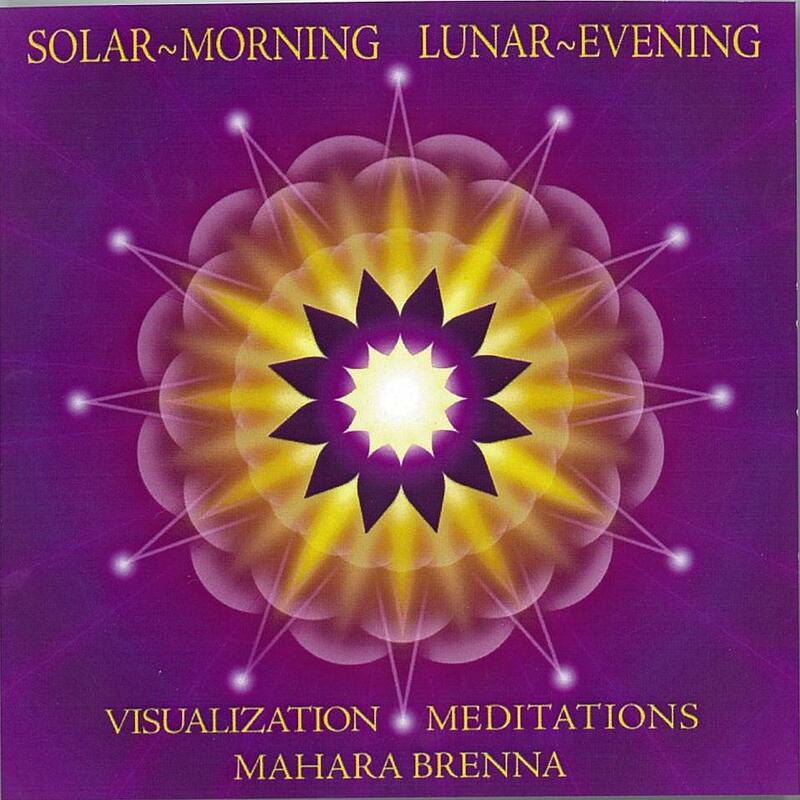 A guided meditation that calls in your own “IAM” Presence, The Rose Pink Ray of the Divine Feminine, the Violet Flames to transmute and protect, and paves the day before you with Glory, Victory and Grace. 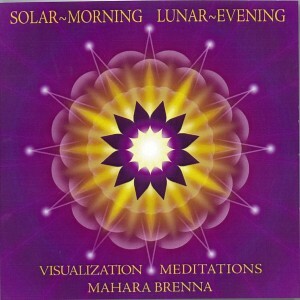 Lunar~Evening closes the day with a reflection of the day’s learnings, gathers yourself back to you, cleanses the day with the Violet Flames and enfolds you in the Light as you drift off into sweet sleep. Accompanied by the incredible music of the Higher Spheres of Paul Armitage. Photographed and edited by Jaime Kowal. Mahara is featured in this Award winning publication on page 65. A great resource for those wishing to live a greener, healthier life style. This beautifully photographed, full color coffee table book provides insight into holistic health, the environment and sustainability. Its goal is to help “wake up” the collective conscience through inspiring profiles of individuals who are doing what they love and contributing creatively to healing our world through diverse callings. 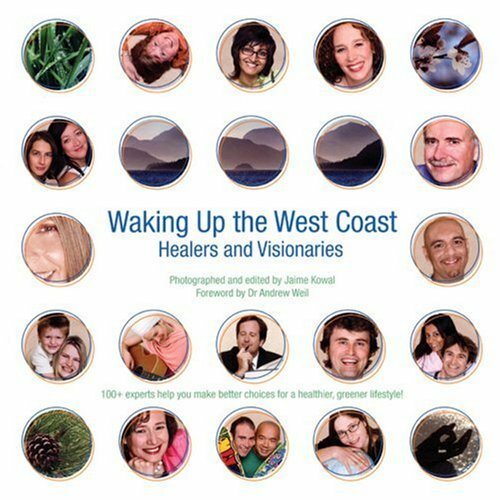 Drawing from the rich, energetic landscape of British Columbia, the book features the work and wisdom of over 100 healers and visionaries who have achieved distinction in their field and are committed to guiding others across North America to meaningful, positive action. On every page, the philosophy and expertise of each individual, business or organization is explored through a powerful article, striking portrait and complete contact information. Stunning photographic images by Jaime Kowal illustrate throughout, guiding readers on a unique visual journey.